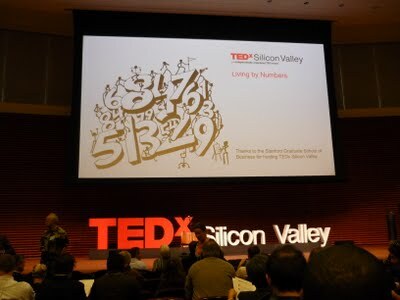 On May 14th, 2011, TEDx hosted its second conference featuring a new roster of impressive and engaging speakers who explored the emerging concept of Living by Numbers for a curated audience of Silicon Valley thought leaders. Curator, Ron Gutman invited e2k to assist with the on-site production, with Michael Olmstead producing. The conference was one of the most successful TEDx events ever – not only for the over 800 people who gathered for the event at the Stanford Graduate School of Business, but also for over 350,000 people from over 50 countries around the world who tuned in online to watch the livestream on Justin.tv. TEDx Silicon Valley gathers some of the world’s leading thinkers, makers, and doers to discuss social innovation. Located on Stanford’s campus and hosted in partnership with the Center for Social Innovation , a center at the Stanford’s Graduate School of Business educating leaders to solve the world’s global problems, it is a day of stimulating presentations, discussions, entertainment, and art that sparks new ideas and opportunities for all involved.